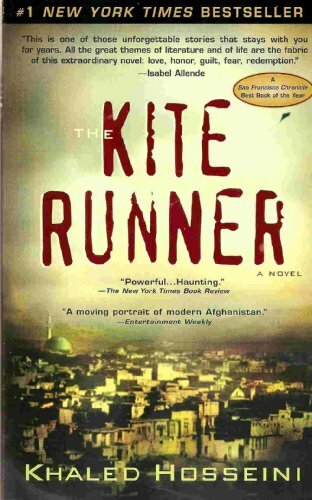 The Kite Runner, a gripping story of guilt and redemption, follows the journey of Amir, a Pashtun Afghani. Through his eyes, the audience is gifted a rarely seen snapshot of life in the Middle East prior to the aftermath of war and conflict. The author skillfully illustrates the culture of Afghanistan, an area of the world few people tend to know much about. In doing so, the audience is able to grasp the dynamics of the story as well as gain an understanding of the struggles of the Afghani people. What makes this story riveting, however, are the universal problems of morality and humanism presented. Regardless of culture, the reader is able to relate to Amir and his turbulent journey through countless authentic struggles. Growing up in a well-to do, respected home, Amir has an easy childhood alongside his father Baba, and servants, Hassan and Ali. Despite the social stigma of Hassan being a lowly servant, let alone a member of the largely discriminated Hazara people, Hassan and Amir become the best of friends. Careless and spirited, they spend their youthful days playing in Baba’s yard and reading stories underneath the citrus trees on top of a nearby hill. Unfortunately, in spite of their best efforts, external factors continually remind them of their glaring differences in social status. The young boys’ cultural discrepancies inevitably catch up to them, and their worlds take a turn for the worst. Forced with an unimaginable situation, Amir makes a decision that haunts him for the rest of his life. War follows soon after, forcing Amir and his father to flee their war ravaged country to the safety of the United States. In the new, strange land he calls home, the conflicted boy works to forget the consequences of his past. Years fly by into adulthood, and Amir finds himself well established in his newfound country. However, on one unsuspecting day, his world is rattled once more when an old friend calls him up from Pakistan and offers him a chance to redeem himself. Amir must decide whether or not he is ready to face the truth and if he is up to the challenge of amending his wrongs. The author, Khaled Hosseini, effectively uses symbolism, metaphors, illustrative descriptions, and moral dilemmas to tell this story. The novel is told beautifully and simply, without too much filler to weigh it down. Each segment is powerful and full of meaning, giving it a natural flow that makes this an easy story to get wrapped up in. Overall, The Kite Runner is an excellently crafted story that wrenches at the heartstrings. The insight into the plight of the Afghani people is truly an eye opening experience, emphasizing that every culture has a universal, familiar core of humanity. Amir’s journey is a wonderful story of human perseverance and morality, reminding us that no one is perfect, and that we are all meant to learn from our struggles throughout life.